How to enable the Cost field for margin-based deals? 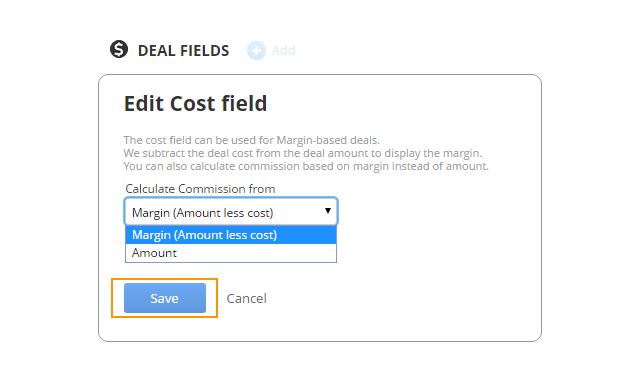 The cost field is useful for displaying the Margin of a deal and calculating the commission based on the margin. Open Settings → Custom fields. 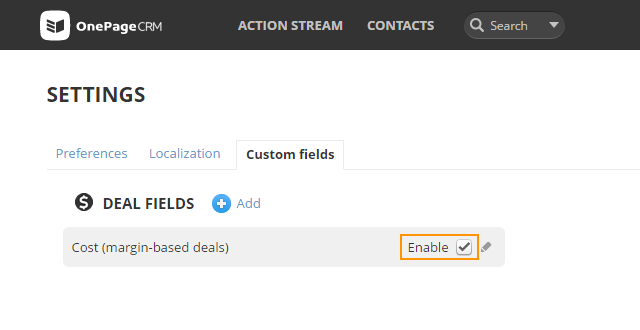 Under the DEAL FIELDS section, select the check box to enable the Cost field. Margin (Amount less cost): The commission is calculated based on the margin if the commission is enabled in the Add Deal form. Amount: The commission is calculated based on the deal amount if the commission is enabled in the Add Deal form. Click Save to return to Custom fields.